Jonathan Letterman was an outpost medical officer serving in Indian country in the years before the Civil War, responsible for the care of just hundreds of men. 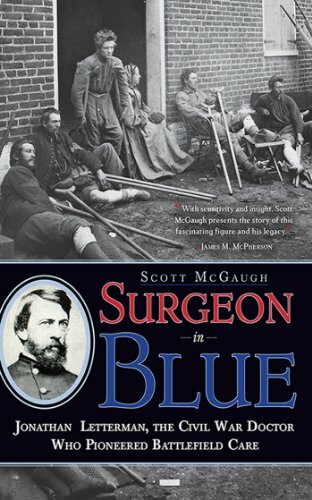 But when he was appointed the chief medical officer for the Army of the Potomac, he revolutionized combat medicine over the course of four major battles—Antietam, Fredericksburg, Chancellorsville, and Gettysburg—that produced unprecedented numbers of casualties. He made battlefield survival possible by creating the first organized ambulance corps and a more effective field hospital system. He imposed medical professionalism on a chaotic battlefield. Where before 20 percent of the men were unfit to fight because of disease, squalid conditions, and poor nutrition, he improved health and combat readiness by pioneering hygiene and diet standards. Based on original research, and with stirring accounts of battle and the struggle to invent and supply adequate care during impossible conditions, this new biography recounts Letterman’s life from his small-town Pennsylvania beginnings to his trailblazing wartime years and his subsequent life as a wildcatter and the medical examiner of San Francisco. At last, here is the missing portrait of a key figure of Civil War history and military medicine. His principles of battlefield care continue to be taught to military commanders and first responders.